How does coaching supervision differ from coaching? ü By being a supervised coach, you continually learn and reflect, develop new skills and contacts and are able to demonstrate your professional commitment to your clients. Your coach supports you and your practice and is the professional you turn to when you are struggling and are seeking guidance. Why is having Coaching Supervision so important? Coaching can be a solitary preoccupation. Most coaches do not have colleagues that they can confide in and discuss confidential case details or and brainstorm with. A supervisor is an experienced colleague who helps you to reflect on your own practise helping you to identify the ‘blind spots’ in your coaching relationships and to understand the impact these have on yourself and your client’s wellbeing. Without updated insights and skills, you cannot offer your clients the best possible service, and this will reflect on the success of your practice. Supervision assists in thinking through challenging or inappropriate client behaviour. Also, ethical dilemmas and it enables you to identify the point when coaching becomes inappropriate, or the client needs therapeutic intervention. Only when working with a supervision professional can you improve your own self-awareness within coaching relationships, and ensure they are, at all times healthy and within professional boundaries. More than anything, coaching supervision helps you to grow in confidence which has a positive impact on you and your practice, while ensuring that you retain your professionalism at all times. “In a very short period of time (8 sessions), Anne has helped me to focus on developing my practice and be clear about what I want and how to get it. We have identified training needs and I am enjoying self-development opportunities which are helping me to broaden the work I do and attract more clients. Anne is a remarkable communicator, and a terrific listener and I have been able to share concerns and difficult coaching conversations and she is supportive and helps me work through difficult coaching relationships. She has a keen knack for cutting through to the point, to the intention, to those things that help me focus and reflect and I have learnt how the coaching relationship can affect my own wellbeing and that of my coachees. As an established coach, I have been surprised at how working with a supervisor has developed my knowledge and tool kit which can only help me in-turn to help my coachee’s. I am able to explore concerns and difficulties and develop strategies to help my clients succeed. Working with an experienced supervisor is helping me to improve my confidence and develop what I have to offer, and the practise-building work we do is already bringing in additional work” Andrew G (New York). Anne Millne-Riley is a fully qualified supervisor and APC based in Lancashire. She offers face to face, Skype and telephone supervision sessions and is currently offering IAPC&M coaches a £10.00 reduction on her normal rate of £55.00 per session. She can be contacted at annemriley@btinternet.com or on 07890 228538. 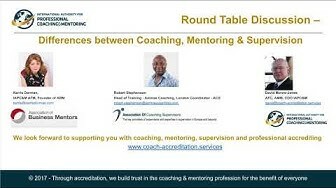 Additionally, you can meet her on her IAPC&M directory page here https://coach-accreditation.services/directories/find-an-accredited-coach-or-mentor/entry/349/.